2 engine starter batteries, 1 generator starter batteries, 8 domestic. Cabin heating is a Kabola HR 400 Combi 14kW which was new in January 2015. All steering, bow thruster and windlass are hydrolic. 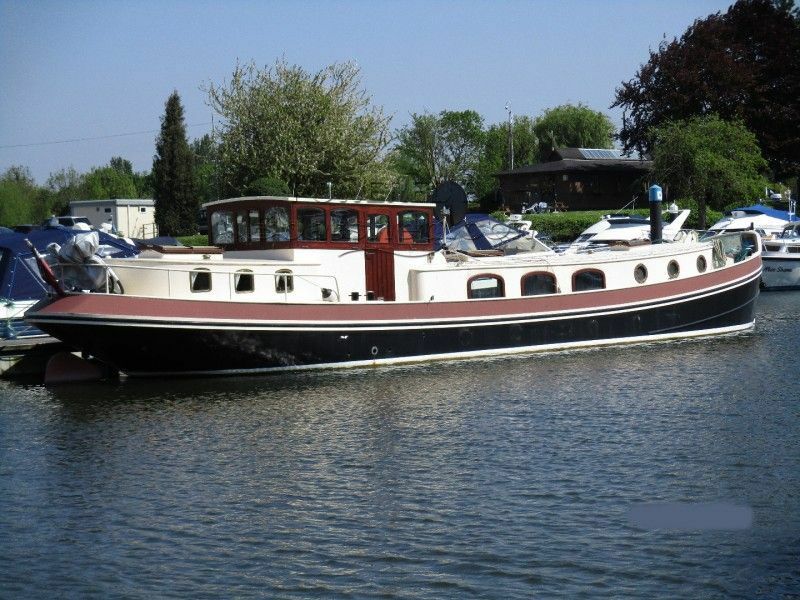 Boatshed Thames are delighted to offer this fantastic Luxemotor barge for sale with option of leisure mooring on the Thames. On visiting this boat on a chilly December day she was lovely and warm inside. The boat is bright and spacious and has been well equipped and continued to be updated with new equipment. She would make a fantastic cruiser through Europe or for a live aboard. She is RCD cat C and also has a hinged wheelhouse which allows the airdraft to be reduced from 2.93 metres to 2.1 metres. The boat is currently on a leisure mooring at Penton Hook Marina and this mooring could be transferred to the new owner on agreement with marina management. This Dutch Barge 17m Luxemotor has been personally photographed and viewed by a representative of Boatshed Thames. Click here for contact details.